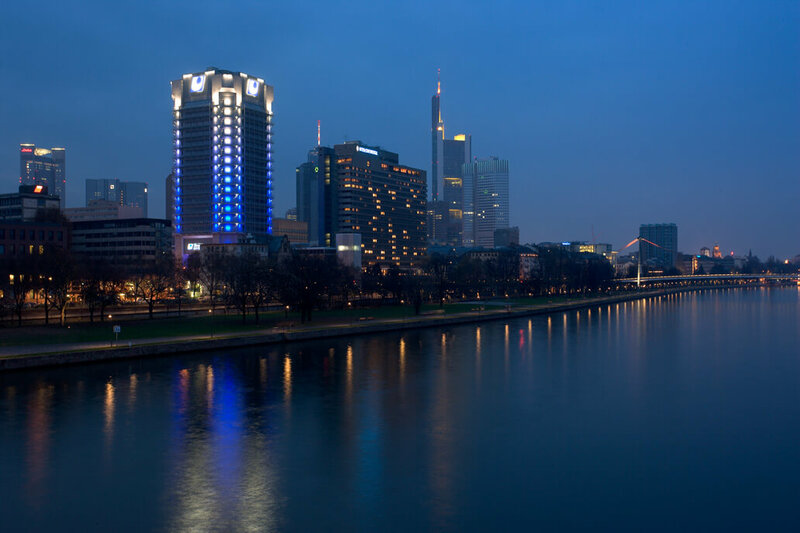 The Union Investment skyscraper dominates the skyline of Frankfurt due to its location directly on the banks of the River Main. In 2006, Thomas Emde realized a successful architectural lighting concept that ensured that the towers remained visible in darkness without in any way impacting the users of the structure. He did this by accentuating the stairwells at the corners of the building. 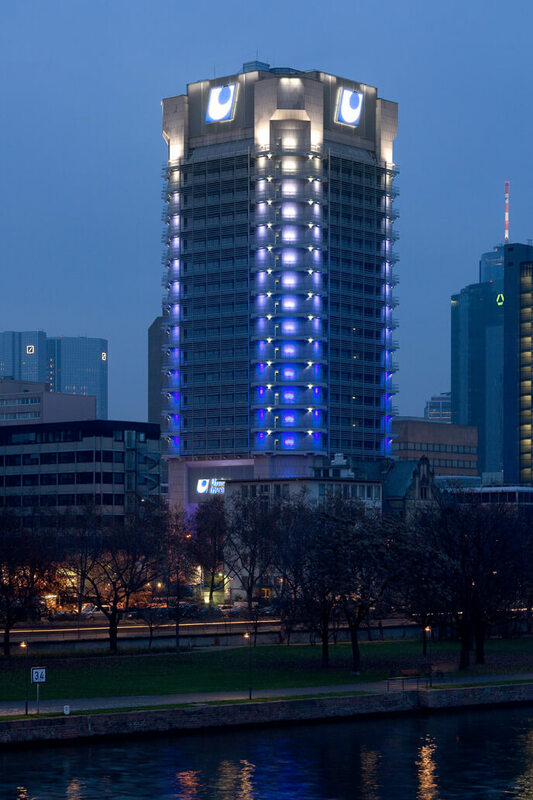 Each flight of the building is illuminated by a different shade of blue from the corresponding exterior balcony. The blue gets steadily brighter as the building gets higher, so that the top of the building is the brightest and floats like a halo on four blue columns.